We specialize in coloring and full service hair care, and make up. Located in the Springboro Pointe Plaza in the same complex as Roosters. Local service taken to the next level! Educated, creative and talented stylists are readily available to provide you with all of your beauty needs. If you're looking for the most current trendy hairstyles, swing in and enjoy a new 'do. Your beauty escape is awaiting you so book your appointment today and indulge in a relaxing salon treatment. ​Escape the stresses of your day with back-to-back beauty treatments! With services like hair cuts, color and highlights, you can take care of all of your hair needs in one place. Julie & Tony Ruscello moved to the Springboro area in 1990 and have been active members of the Springboro community ever since. Their three children were born in Springboro and attended Springboro schools. 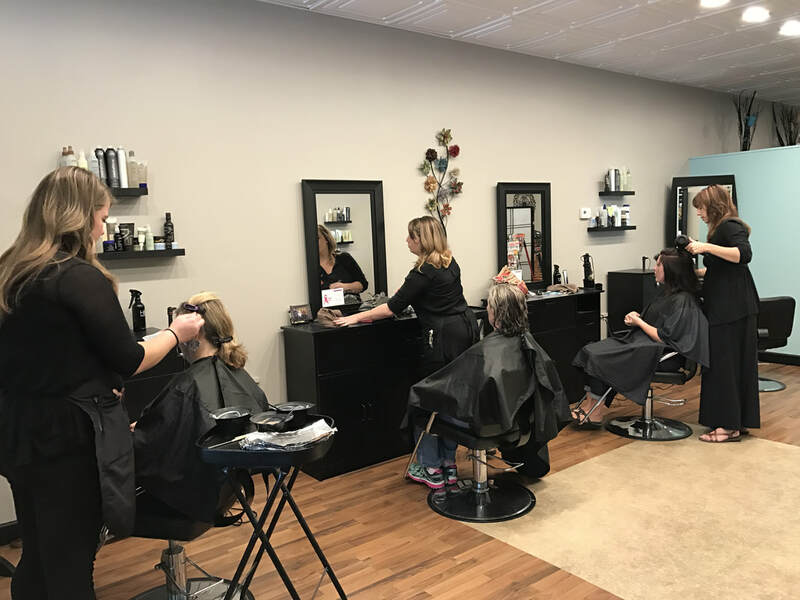 After moving to Springboro, Julie operated her own home daycare and also worked at Springboro Preschool Discovery before going back to work as a chemical specialist at Hairline Salon. Julie and Tony purchased Hairline and renamed it to Ruscellos Salon in 2003 with the vision to create a warm, friendly & comfortable atmosphere for her customers while providing top quality hair & nail services & products at reasonable prices. We hope that when you come to Ruscello's, you feel like part of the family.